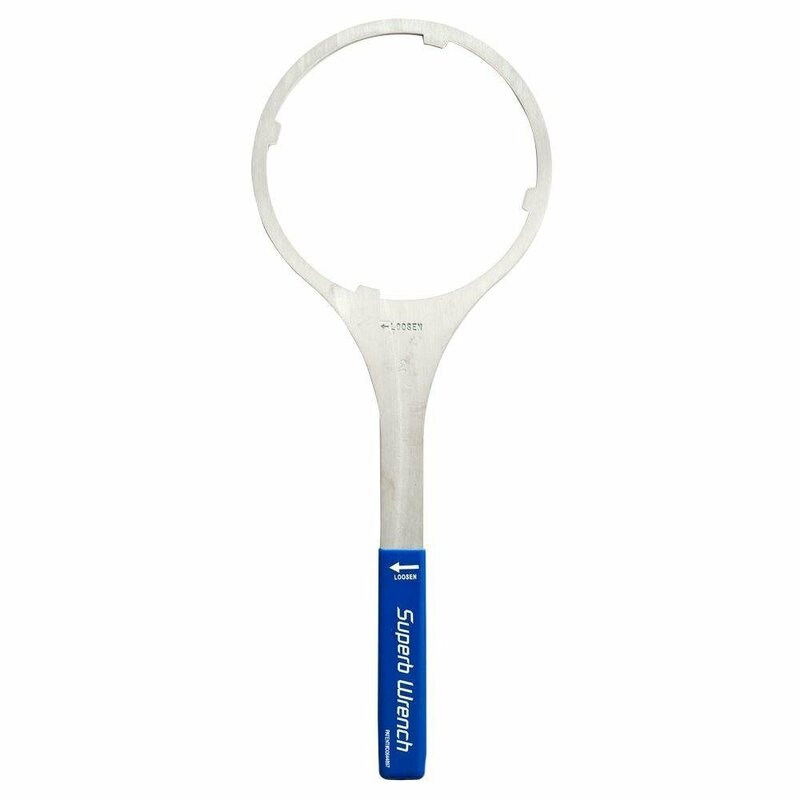 The Metal 3M Aqua-Pure Water Filter Housing Wrench from Superb Wrench will surely be the last water filter wrench you'll ever need. The 3M Aqua-Pure water filter wrench is equipped with a longer handle for better grip and leverage. This metal water filter wrench will not bend, bow or break due to its strong zinc-plated, galvanized steel construction.